The front gardens of Government House will be open to the public at the end of this month for a grand Charities Fete. His Excellency Sir Ian and Lady Corder have invited the Association of Guernsey Charities to host an event in the grounds, featuring a wide variety of local organisations. This special event will be on Saturday 21 July, between 2pm and 5pm. In addition to all of the charity stalls, there will be a variety of musical entertainment; plus the famous Chitty Chitty Bang Bang from the GADOC production will be there (although, not flying!). 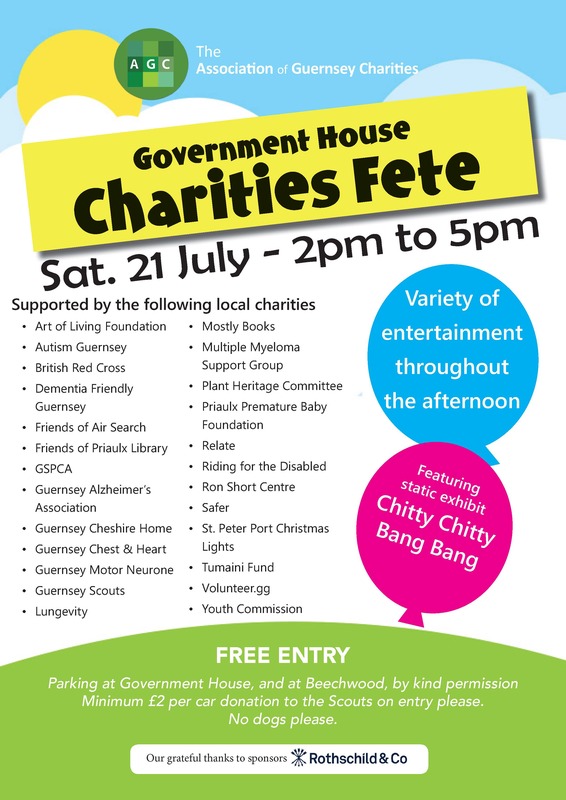 The Charities Fete opens at 2pm, and is free of charge –although there is a £2 donation to the Guernsey Scouts if you wish to park at either Government House or Beechwood.